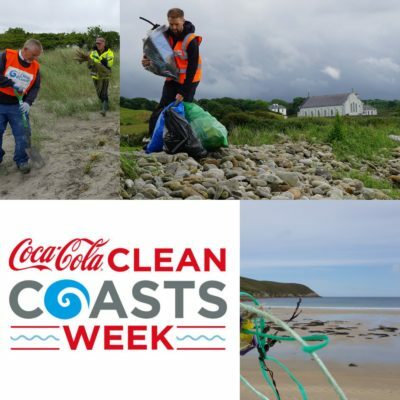 Coca-Cola Clean Coasts Week took place from 1st to 10th June 2018 all over Ireland. We have all seen the evidence of marine litter along our coastline so for all you beach lovers out there it was an opportunity to do something positive to combat the problem and also raise awareness about the issue. People could create their own beach clean event or participate in one. Remember, every piece of litter removed from the coast is a piece of litter that won’t pollute our oceans or harm our wildlife. People also joined us in celebration by attending some of our free coastal celebration events that took place during the week. 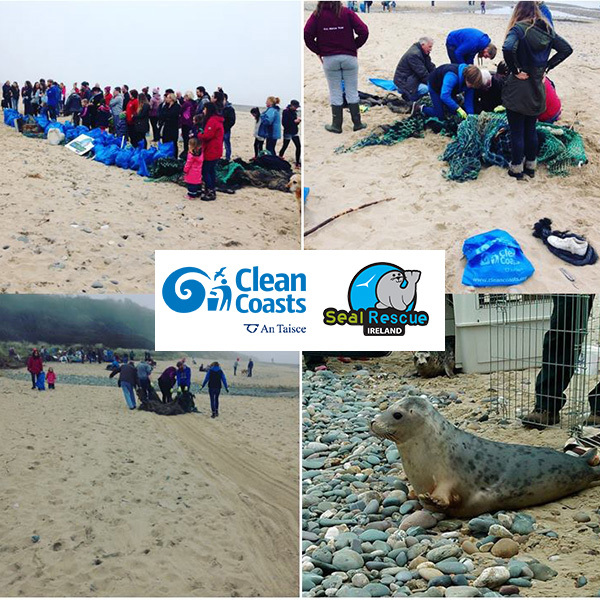 Courtown Tidy Towns along with Seal Rescue Ireland and Clean Coasts will be hosting a beach clean and seal release at Courtown beach on Saturday 2nd June at 12 pm as part of Coca-Cola Clean Coast week. 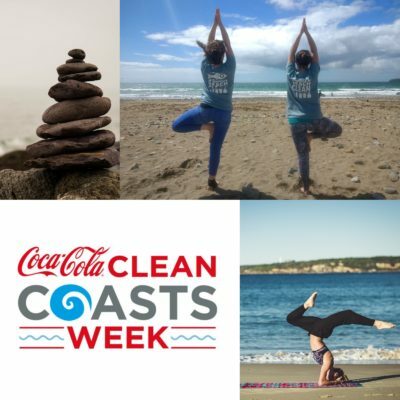 As part of Coca-Cola Clean Coasts Week’s Do Good, Feel Good, there will be a free family friendly yoga session on Grattan Beach on 2nd June at 10 am. 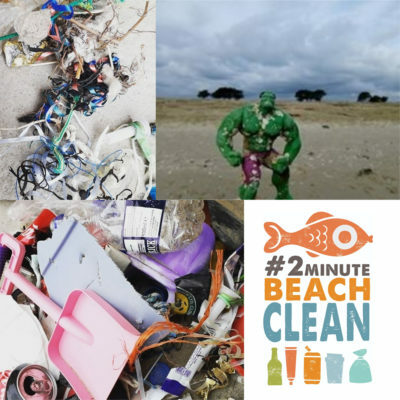 We will also take 2 minutes to give back to our coast with #2minutebeachclean. To RSVP or for more information, contact Caitríona at ccunningham@eeu.antaisce.org. As part of Coca-Cola Clean Coasts Week’s Do Good, Feel Good, there will be a free yoga session on Grattan Beach on 2nd June at 11 am. We will also take 2 minutes to give back to our coast with #2minutebeachclean. As part of Coca-Cola Clean Coasts Week’s Do Good, Feel Good, there will be a free yoga session on Maheeres Beach on 2nd June at 2 pm. We will also take 2 minutes to give back to our coast with #2minutebeachclean. To RSVP or for more information, contact Susan at svickers@eeu.antaisce.org. constantly colouring and shaping our day to day experiences. In this 2 hour workshop at Shelly Banks, Poolbeg from 11 am to 1 pm on 2nd June, we will playfully and mindfully begin to explore how we as humans are part of nature. We will engage our senses through nature connection games, through creating and sharing stories informed by the particular setting of Shelly banks, and through practising the art of communication and deep listening. We will conclude our time together with a shared picnic and participants are welcome to bring along any food or drink they wish to contribute. Come with an openness, and a curiosity to discover new ways of seeing our relationship with the natural world. The workshop will be hosted by Nicola Winters, she is Development Educator/ Nature connection Facilitator/ Mindful Yoga Instructor. To RSVP or for more information, contact Richard at rcurtin@eeu.antaisce.org. As part of Coca-Cola Clean Coasts Week’s Do Good, Feel Good, there will be a free yoga session on Enniscrone Beach in conjunction with Enniscrone Tidy Towns on 4th June at 12 pm. We will also take 2 minutes to give back to our coast with #2minutebeachclean. Please bring your own mat. To RSVP or for more information, contact Robert at rnelson@eeu.antaisce.org. 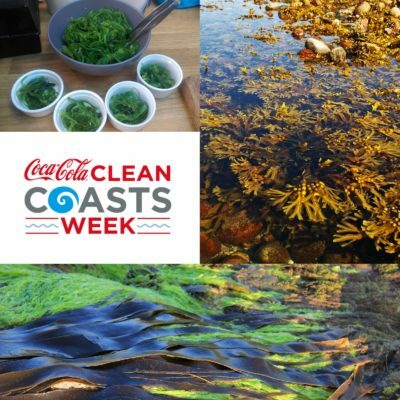 As part of Coca-Cola Clean Coasts Week’s Do Good, Feel Good, there will be a free meditation session at Purecamping, Kilkee, Co. Clare on 5th June at 7 pm. To RSVP or for more information, contact Caitríona at 087-2327383 or ccunningham@eeu.antaisce.org. 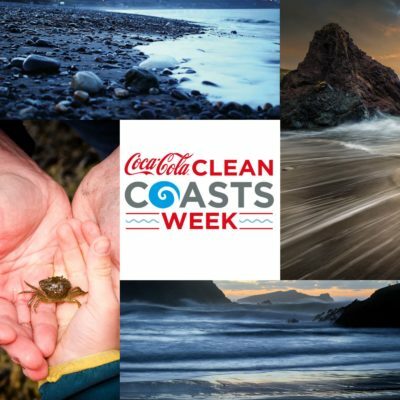 Clean Coasts Love Your Coast Photography Competition will be launched on During Coca-Cola Clean Coasts Week. 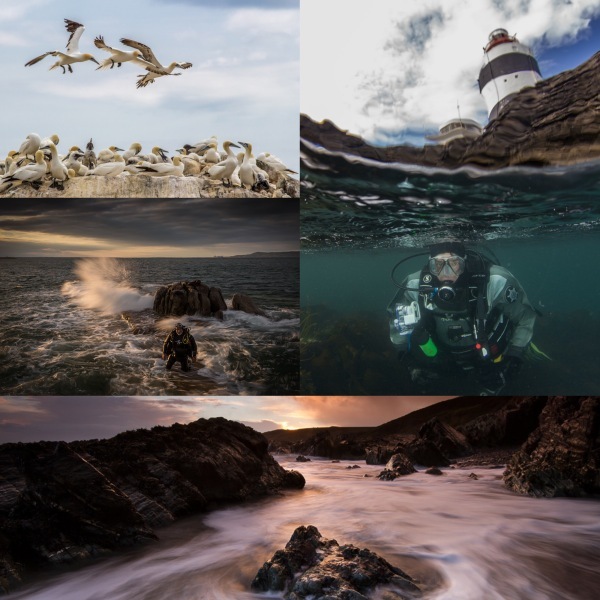 See the Love Your Coast Photography Competition page for all the details. 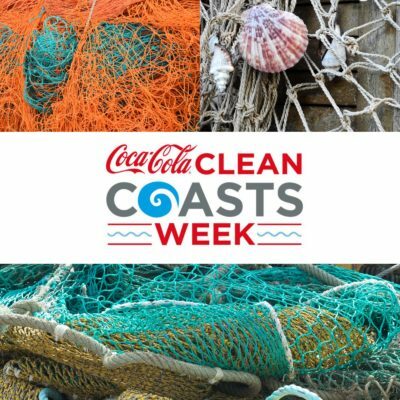 Wicklow County Council are teaming up with Clean Coasts to celebrate Coca-Cola Clean Coasts Week. There will be a family sand sculpting competition and #2minutebeach at Brittas Bay South Beach from 4 pm to 5:30 pm on 6th June. The competition is open to all ages and there will be light refreshments as well as prizes. As part of Coca-Cola Clean Coasts Week’s Do Good, Feel Good, there will be a free yoga session on Ballinaskelligs Beach on 6th June at 10 am. We will also take 2 minutes to give back to our coast with #2minutebeachclean. Do you, your group or your business value the beauty and state of our coast? Come to a public discussion to look at how our community can take better care of the Fanad coastline. Beckey-Finn Britton, Clean Coast Officer for Donegal will be present to describe initiatives elsewhere in Ireland. Meeting at Fanad Head Lighthouse new reception area, 6th June at 8pm. Fore more information contact Beckey-Finn at bfbritton@eeu.antaisce.org. 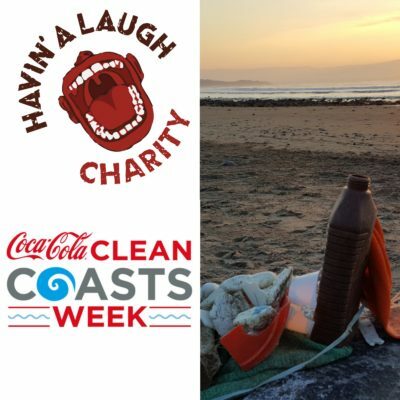 As part of Coca Clean Coast Week there will be a special comedy night at the Strand Bar, Strandhill, Co. Sligo on 7th June at 9 pm with the Havin’ A Laugh Charity. Fore more information contact Sinead at smccoy@eeu.antaisce.org or 01 4002210. 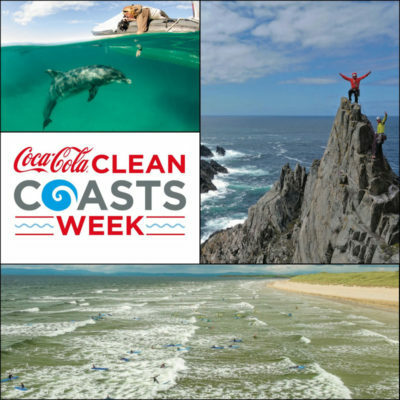 Wicklow County Council are teaming up with Clean Coasts to celebrate Coca-Cola Clean Coasts Week. There will be a family sand sculpting competition and #2minutebeach at Greystones South Beach from 4 pm to 5:30 pm on 7th June. The competition is open to all ages and there will be light refreshments as well as prizes. World Oceans Day is a global day of ocean celebration and collaboration for a better future. Overall theme for World Oceans Day 2018: ‘preventing plastic pollution and encouraging solutions for a healthy ocean.’. There will be several cleanups around the coast on the day to celebrate. 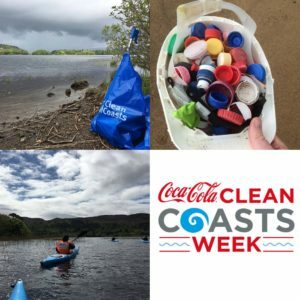 Wicklow County Council are teaming up with Clean Coasts to celebrate Coca-Cola Clean Coasts Week. There will be a family sand sculpting competition and #2minutebeach at Bray Beach from 4 pm to 5:30 pm on 8th June. The competition is open to all ages and there will be light refreshments as well as prizes. Celebrate World Ocean’s Day with an intro to seaweed. Food for body and soil. Seaweed Foraging workshop at sunset with The Sea Gardener. This will take place on 8th June at 7 pm at Annestown Beach (meeting at car park). Booking is essential as places are limited. Please contact: The Sea Gardener at marie@theseagardener.ie or 086 812 4275. Celebrate World Ocean’s Day with an intro to seaweed. Foraging and Exploring Seaweed workshop will take place on 8th June at 7 pm at Oldhead Beach, Louisbough. To RSVP or for more information contact Robert at rnelson@eeu.antaisce.org. 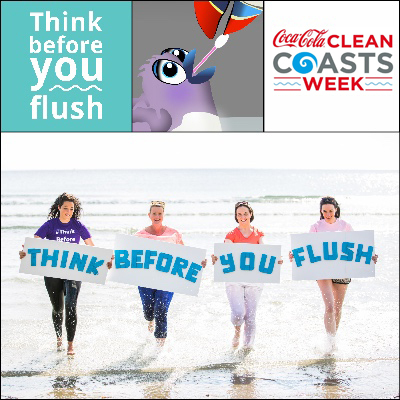 As part of Coca-Cola Clean Coasts Week’s Do Good, Feel Good, there will be a free yoga session on Rossnowlagh Beach. We will also take 2 minutes to give back to our coast with #2minutebeachclean. To RSVP or for more information, contact Beckey-Finn at bfbritton@eeu.antaisce.org. 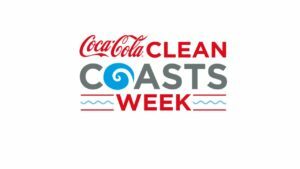 As part of Coca-Cola Clean Coasts Week’s Do Good, Feel Good, there will be a free yoga session on Sandymount Strand at 11 am. We will also do a short beach clean afterwards to give back to our coast. To RSVP or for more information, contact Elaine at edoyle@eeu.antaisce.org. We are teaming up with Sealife in Bray for a family event which will include activities such as #2minutebeachclean, disintegration of plastics games, beach treasure hunt and a touch pool. This will take place on 9th June from 11 am to 1 pm at Sealife. To RSVP or for more information contact Camilla at ctunney@eeu.antaisce.org. 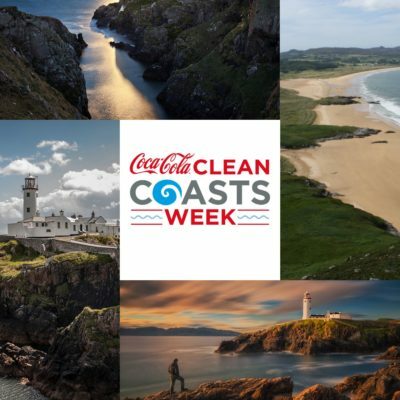 Clean Coasts will be hosting a guided tour of Bull Island as part of Coca-Cola Clean Coasts week, this will be an opportunity to learn about the history of Island and all the wonderful wildlife that is present on the island. The event will be follow by a 2 minute beach clean. Meeting point is the Happy out Cafe. To RSVP or for more information contact Richard at rcurtin@eeu.antaisce.org. 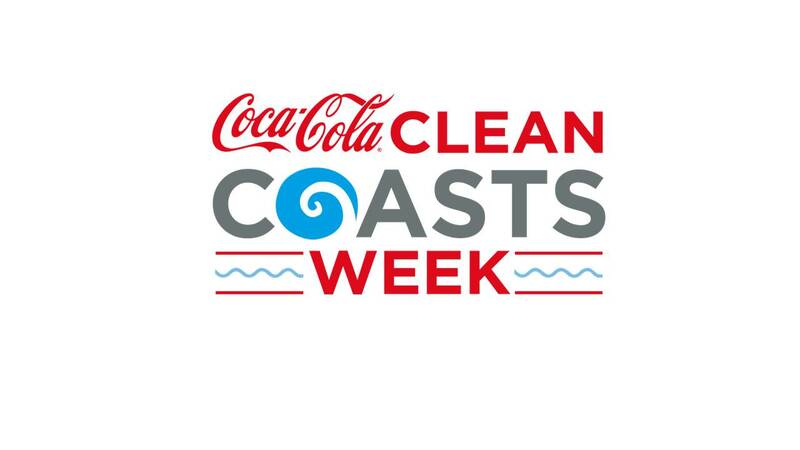 Clean Coasts will be hosting a kayak river clean in conjunction with Cork Harbour Festival and Subtowi as part of Coca-Cola Clean Coasts Week. It will take place on Saturday 9th June at 11 am. It is supported by Kinsale Outdoor Activity Centre. The meeting point is Lee Fields Car Park, Sunday’s Well. To RSVP or for more information contact Susan at svickers@eeu.antaisce.org. To celebrate World Oceans Day and Coca-Cola Clean Coasts Week, Galway Atlantaquaria has organised a family fun day around this year’s theme: ‘preventing plastic pollution and encouraging solutions for a healthy ocean’. It will take place at Galway Atlantaquaria on Sunday 10th June from 12 pm to 5 pm. For more information visit: nationalaquarium.ie. To celebrate World Oceans Day and Coca-Cola Clean Coasts Week, Dingle Aquarium has organised a family fun day around this year’s theme: ‘preventing plastic pollution and encouraging solutions for a healthy ocean’. It will take place at Dingle Aquarium on Sunday 10th June. Join us at Broadhaven Bay 10th June for a fun beach Fishing Net Weaving Workshop day. Learn practical uses for fishnet that washes up on our beaches from 13.00 – 15.00 followed by a #2minutebeachclean. For any information please contact Rob Nelson at 087 204 5259 or rnelson@eeu.antaisce.org.